A bright, rip-roaringly funny two-hander lampooning the Royal Family and the truth according to Netflix. But on no account sit in the front row! So what do you do when Claire Foy steals your dream role? Well it’s obvious; you write and perform your own version of The Crown and get your agent to play the male parts. Well at least that’s the plan in the incredibly likeable Crown Dual, now playing at the King’s Head in Islington. Agent Stanley Diamond (Brendon Murphy) had promised client Beth Buckingham (Rosie Holt) an audition for Netflix series The Crown. But he kinda sorta forgot to send in her audition tape and now he owes her big time. The gags arrive by the bus load, as this talented duo scurry through a potted history tracing the accession of Elizabeth, through to the marriage of Princess Margaret and Tony Armstrong Jones. In other words, roughly the same chronology as series 1 of The Crown, that source of Beth’s frustration and boiling anger that Claire Foy, and not she, is winning plaudits. And of course the first rule of fringe theatre, audience participation is never that far away. Almost inevitable, when telling a story involving a cast of thousands, they are bound to need some help. Sat in the front row you will be called upon, so be prepared to improvise! Holt and Murphy work like a well drilled tag team as they recreate scenes from the Queen’s life following the death of King George VI. 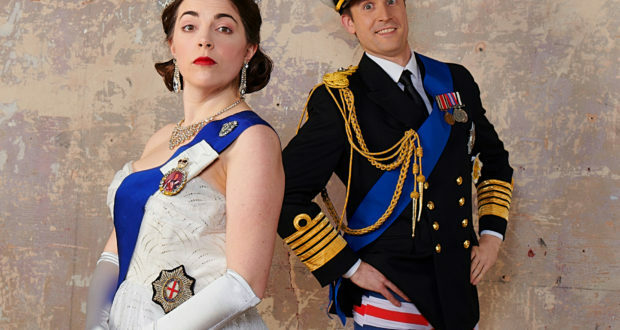 Her early exchanges with Winston Churchill, Prince Philip’s resentment of his diminished status, Princess Margaret’s affair with Group Captain Townsend and the Coronation are all brilliantly distilled into a series of comedy playlets. There are some memorable sketches along the way; Group Captain Townsend is re-modelled in Top Gun mode, while Gandalf later turns up to educate Elizabeth in the ways of the world. 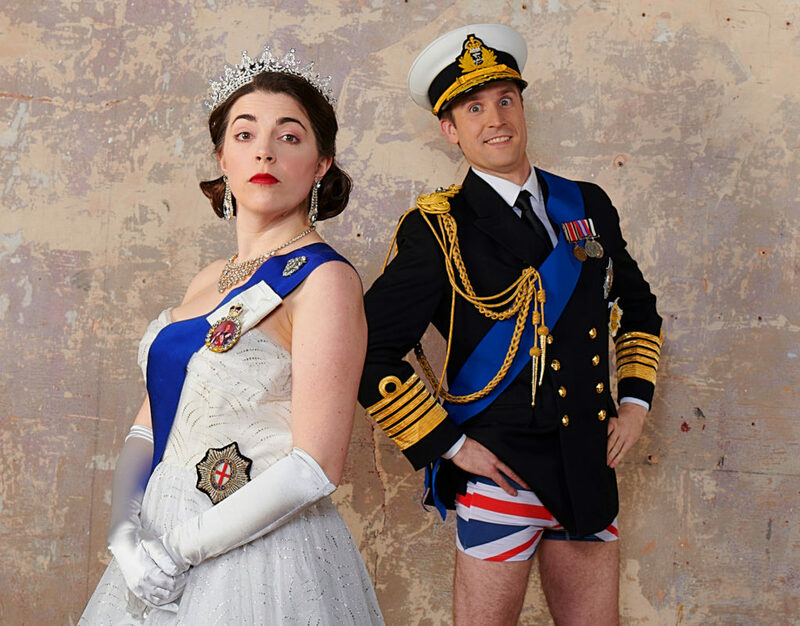 The Coronation sketch is the centrepiece, with some great off-the-cuff moments to savour. The Royal Family provide a rich seam of material for comedy writers because they are easy targets with seemingly no right of reply. Despite our affection we cannot resist sending them up because they are flawed as we all are. Crown Dual gently pokes fun at the royals, but never is it malicious or gratuitous. 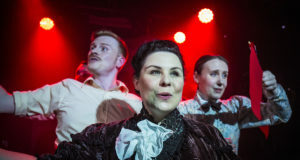 Rosie Holt and Brendon Murphy are superb performers who find something new in every performance, with no end of topical gags to throw in the mix. 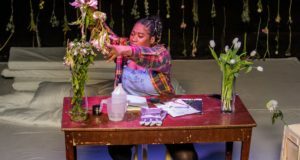 This show is the fringe at its very best; bright and irreverent, with a generous helping of anarchy thrown in; great fun!